Pam Bowers is a Nurse Peer Coach for VITAL WorkLife. 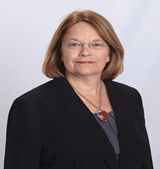 She has over 30 years of nursing experience, receiving her LPN degree in 1975 and RN degree in 1991. Working as an LPN and RN, Pam has had many experiences dealing with conflict resolution and issues surrounding different levels of education and roles. Bowers' years of experience in nursing, in the many aspects of caring for people, as well as her experience as an assistant manager of a dialysis unit has offered her opportunities to use skills for mentoring, such as: teaching, collaborating with co-workers, patients, families, ancillary staff and around communication. Most recently, Pam has been providing bedside nursing at a Children’s Hospital.